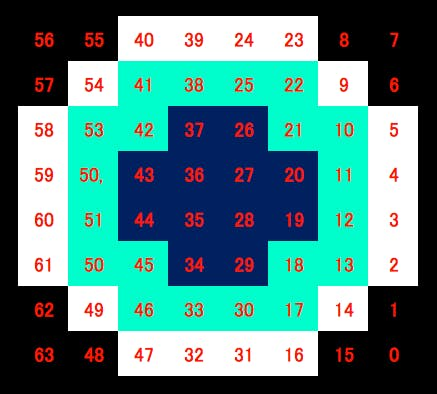 Display the eye on the LED matrix and move with the 3D gesture sensor. It has a 8x8 full color LED (NeoPixel) and soft by flexible board. The Arduino library for Neopixels is located in the following. Please refer below for product details. Five electrodes are arranged in the up, down, left, right and middle. Gesture is sensed by changes in electrostatic capacitance of electrodes due to hand approach. 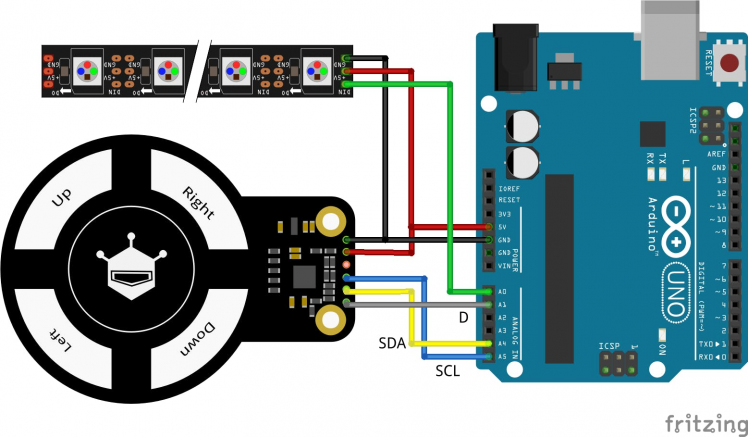 The Arduino library for the 3D Gesture Sensor is located in the following. This gesture sensor detects clockwise/counterclockwise rotation and movement directions (up, down, left, right) using program example "_3D_Gesture_Test.ino". 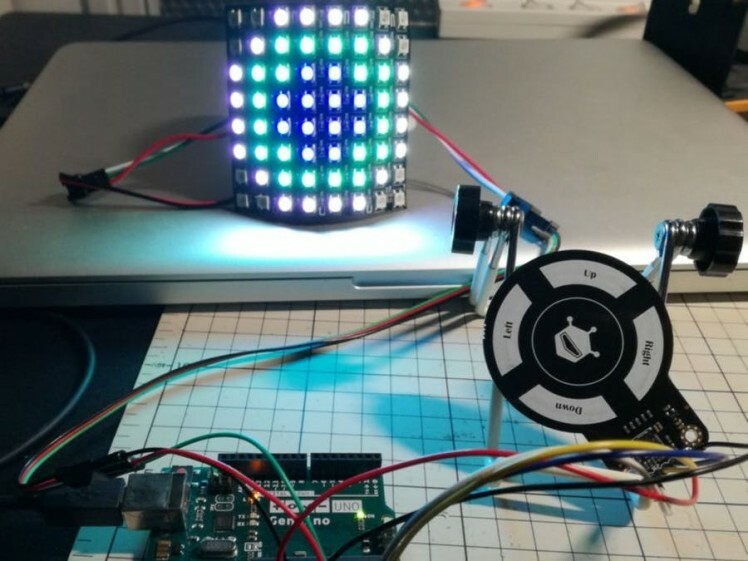 Display the eyeball on the LED matrix, move the eyes right and left with the left and right sensing of the gesture sensor, open and close the eyelids by vertical sensing. The pupil faces the front in clockwise or counterclockwise sensing.